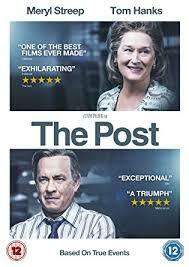 The Post – Second only to the Watergate scandal was the discovery of the Pentagon papers. Set in 1971, The Post depicts the true story of attempts by journalists at The Washington Post to publish classified documents regarding the 30-year involvement of the United States government in the Vietnam War. Starring Meryl Streep and Tom Hanks. ice cream and popcorn in the interval. Harris on 01732 700986 or bcharris@btinternet.com or buy tickets at the door. However please pre-book your meal by the Wednesday before the show if you would like to eat.